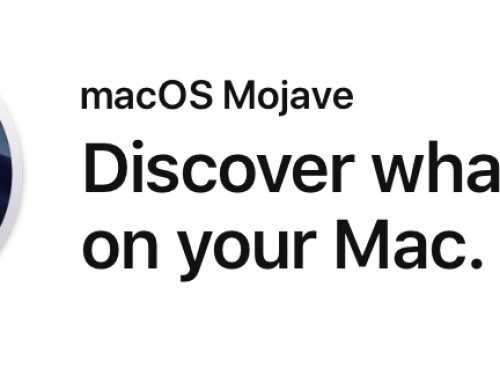 In Part 1 of this series of blog posts, I covered the actual Upgrade process and my Initial Thoughts. Then, in Part 2, I covered the New Features and Changes in iOS 6. Now, in Part 3, I cover Moans and Gripes with iOS 6. Much has been made of Apple’s removal of Google Maps from iOS 6, while replacing it with Apple’s own Maps App. For me, I haven’t really noticed a problem with Apple’s Map App but I have downloaded and used the recently-released Google Maps App. Both seem very good but as I don’t use them much, I haven’t really noticed any problems. Maybe one day when I’m out and about and need to find something in the local area (a shop, tube station etc) I’ll really find if there’s any problems. I was hoping Apple would really improve the Auto-Correction feature in iOS6, as its always been one of the worst parts of iOS. So far, I’ve seen no improvement and actually think its got worse. I’m not the only one and many people have been venting on this particular annoyance. The Auto-Correction ‘feature’ has always been a source of problems and there are several sites dedicated to the funny situations that end up occurring if you don’t notice what the Auto-Correction gremlin has done to your message. 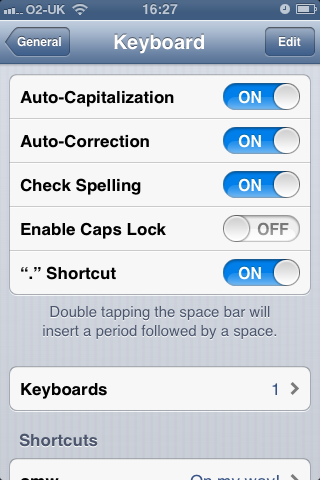 Turning off Auto-Correction may be useful for many iOS 6 users, so I thought I’d to include how to turn it off. Go to Settings, then General then Keyboard. 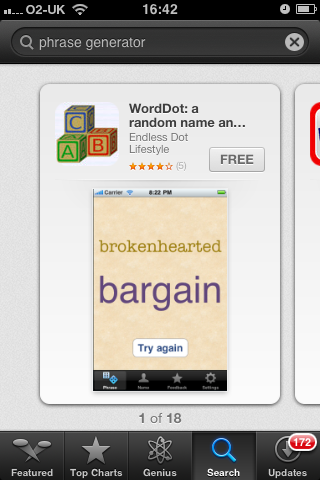 In general, the App Store still seems slow to load and use.